In a 1906 photograph of Wehdem 104 (possibly was taken during the visit of George F. Losche,Sr., who immigrated in 1869, and his son, George F. Losche,Jr. 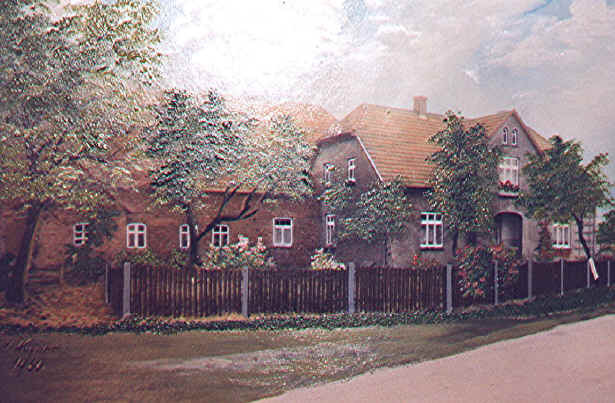 ), Heinrich Friedrich Wilhelm Lösche and Marie Wilhelmine Luise (geb. 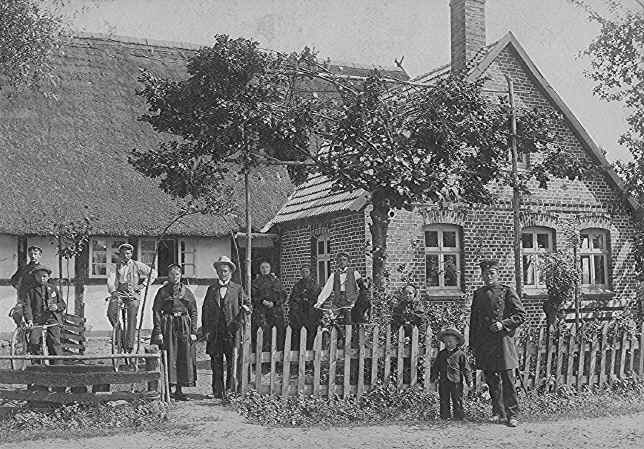 Heldmann) Lösche are at gate in the center and their youngest son, Friedrich Heinrich Wilhelm who inherited the Lösche homestead, is on a bicycle at the right. Submitted by Craig Loesche. The house and barn were renovated about 1927, making the home larger. 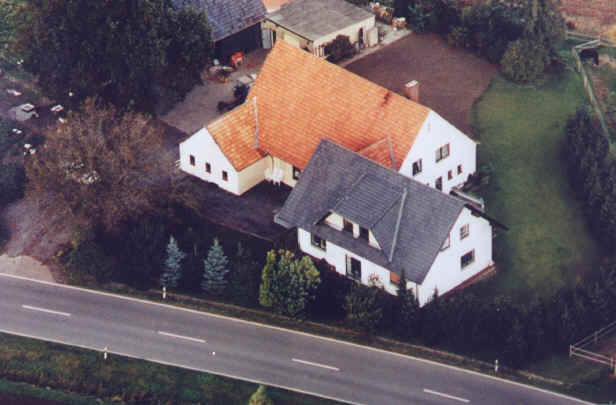 Around 1980 it was renovated again, as shown in this aerial photo.